Get your tickets for the 18th Annual California Worldfest at the world renowned Nevada County Fairgrounds. The Festival runs from July 16th through the 19th. 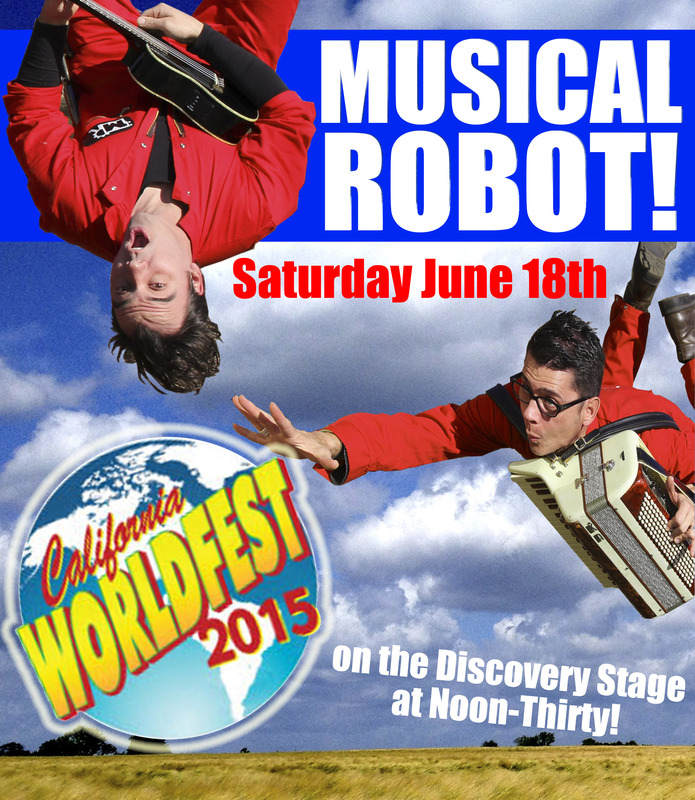 Not only will you see amazing talents like Lucinda Williams and Beats Antique, but there will be a small scale ROBOT INVASION of the Discovery Stage by Musical Robot! We’re playing at 12:30 on Saturday the 18th. Come by and dance it up with us at our first festival gig.